This entry was posted on March 13, 2013 by Andie Pantazi. Academic life has its peak to reach at the end. Such end is the awarding of degree among fellow graduates. It’s the time for the fascinating regalia to be seen. Multiple colors of it could capture one’s eyes. What do colors graduation hoods mean? 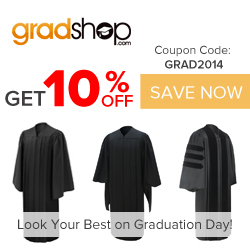 There are hoods for graduation college colors according to the Academic Costume Code. These represent various fields of disciplines. These colors have been largely standardized in the United States by the Intercollegiate Bureau of Academic Costume, and accepted by the American Council on Education. Do colors graduation hoods mean the same? It’s a big NO. More common colors that are seen are green for medicine; white, which represents the liberal arts; purple for law; dark blue for philosophy; and golden yellow for science. However, the code made a distinction that a graduate must portray the color of the specialized area of the degree and not the degree itself which is broad. When a graduate finished a Bachelor of Arts in Music, the color that the participant should use is pink and not white which represents the broader arts and letters. Another thing is if the graduated field does not have the assigned color, it should be the closest color used in the broader field. For example, if someone achieved a Degree on Animal Husbandry, one should use maize color for the hood because it is closely related to Agriculture. It’s also true with Mathematics. Traditionally, it belongs to Liberal Arts; therefore, it uses white. However, it may also consider under Science which uses golden yellow. Here are some codified colors assigned to different academic disciplines. Color white represents the Liberal Arts; light blue which symbolizes knowledge, is appropriate for Education; brown for Architecture and Fine Arts; orange for Engineering, maize for Agriculture because this color signifies a plentiful harvest; dark blue for Philosophy, sage for Physical Education; lemon for Library Science; Crimson for Journalism; drab for Business, Accountancy, and Commerce; copper for Economics; Kelly green for medicine; apricot for Nursing; pink for Music because it is a lively kind of art; olive for Pharmacy; gold for Science because it indicates the wealth of research; citron for Social Work, peacock for Public Administration; gray for Veterinary; scarlet for Theology; and purple for Law. What do colors graduation hoods mean is also technical. If a Bachelor of Science degree is part of engineering, the trim would be orange; however, if it is given for physics which is part of natural sciences- golden yellow will be used. Hence, if it is education, the trim would be light blue. This method is also applicable to Master’s and Doctoral Degrees. If one is awarded a Master of Public Administration in science and Technology, it should follow the golden yellow trim and not the peacock blue which is intended for public administration. Do colors graduation hoods mean excellence? Of course, yes. No one could achieve a diploma, especially in college, if skills aren’t obtained by the graduate. It’s like passing through rings of fire to reach the end.